Our prayer is that you will come to know Him, worship Him, enjoy Him, celebrate Him, and share Him with family, friends, co-workers, and neighbors. People all around us need to know the love of Jesus. May we all be bright “lights” this year – sharing hope with those who need it most! Santa Claus, reindeer, angels, elves, bells, bows, ribbons, and tulle. But what if this year you really want to hone in on the TRUE meaning of Christmas? To take a step back from the gifts, the fluff, and the fodder. What if this year you infuse Jesus into ever detail of your season. And, what would that look like? What would it smell and taste like? A Christmas where my children move forward in understanding the amazing gift that Christ’s birth is, in and of itself. A season so full that my husband and I, along with any guest that enters our home, can’t help but feel Christ’s presence in the comfort of our walls. So how do I bring that to fruition? Here are some practical ways to poise everything to point to Jesus. The subtle way you word the season speaks volumes. Does your Christmas card say Happy Holidays or Merry Christmas? There is a difference. Subtle, but it’s still there. Referring to the season as a holiday, merry and bright or phrases like season’s greeting are all beautiful, but they don’t point to Jesus. It’s a moment of lost opportunity to share the meaning of why we celebrate. Not everyone celebrates Christmas. It’s actually a bold statement when celebrated for the true meaning. By calling it what it is you are proclaiming it’s meaning. Smells evoke memories. A fragrant meal simmering on the stove can beckon you back to your favorite childhood encounter with a loved one. What smell reminds you of Christmas? Is it a fresh-cut Christmas tree, Cranberry Sauce or maybe Spice Cake? Touch is reaching out and grabbing something. This Christmas reach out a grab someone’s heart. Touch their soul. Invite others to gather around your table. People can be very lonely this time of year. Pray for God to show you someone who could use some love and reach out and grab them up. Share your home with them. Food is a universal gift. Everyone has to eat. Why not make a treat to share with someone unexpected? Wrap it with the word of God. You can pray over food you make, or if you’re not too crafty in the kitchen buy something to repackage. Write a personal note of thanks or praise paired with a Christmas scripture and sprinkle the true meaning of Christmas to your mailman, dry cleaner, coffee barista, kid’s teachers and grumpy neighbors. Having trouble loving a challenging person? Share with them especially! Maybe you haven’t moved into full-blown Christian music yet. It took me a while to get to the point where my radio is predominately tuned to a Christian station. BUT…I have always adored Christmas music. You can scroll Pinterest for a million ways to decorate, crafts to make and goodies to bake, but the meaning you give them is up to you. You can choose to see and share Christ through all of them. Or, you just have to change your perspective, not your décor. What a wonderful post, Kim! Thanks so much for sharing your heart and your creativity with us today. I am always encouraged by your posts, and I’m so glad that my friends also get the chance to know you a little better today! We really do appreciate you and your message! You can stop by and visit with Kim on her website. Just link HERE to pay her a visit. And, Kim is offering a special “Artistic Advent” series which you are invited to join. Just link HERE for more information. Kim Jones is a wife and mom to three young children, ages 10, 8 and 5. She spends her spare time shopping curbside, junkin and turning trash into treasure. God has given her unique eyes to turn her projects and finds back to the Word. She desperately wants to share the freedom only Christ can bring with others. 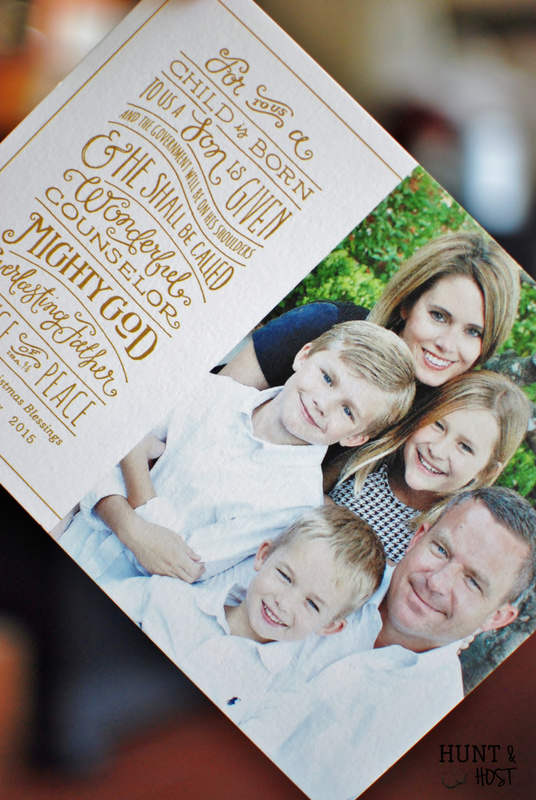 You can follow her decorating, DIY and love of the Lord on her blog, Hunt & Host…www.huntandhost.com. Love this article Melanie! It reminds me not to be “sad” that I won’t be going all out in my decor for CHristmas this year, and it makes me excited to fully focus on Him, the reason for the season! I think Kim did a fabulous job with this one! Focus on Him – that’s the best advice of the season! Hi Kim, this is wonderful. It is good to stay true to the whole purpose of Christmas. Thank you for the wonderful reminders and powerful suggestions too. Kim is one of my most talented and creative friends. Loved sharing her post here. What a great post! I love it! Thanks for sharing it and meeting a new blogger on your website is great too! Sure do appreciate you and your kind words today! What a beautiful way to celebrate the birth of the Savior! And, thank you for stopping by to leave a good word today. Great post! One thing we have done (following the example of a former pastor’s wife) is to make ornaments with the different names of Jesus on them. It’s a great reminder to us and great conversation starters for our kids. What a great idea, Lisa! Love the idea of making ornaments with the names of Jesus on them! Thanks for stopping by to leave a good word! “What You Touch” is my favorite of all the senses Kim describes here. A “feel good” post and so many truths written. Simply keeping the word “Christmas” in our thoughts, speaking it from our lips, writing it on our cards, when so many are trying to strip it away, makes it more of a determination to keep it alive. Wonderful post Kim! Always enjoy your writings. Thanks Melanie too! This series is truly an inspiration for kicking our hearts into gear for the holidays. Blessed day to you both. Will be pinning this. Don’t you love the way that Kim describes things in such beauty! Her posts are always inspiring! Thanks for stopping by to leave a good word today. You have blessed us! Thanks, Julie, for stopping by to leave a good word today. Thanks for sharing this y sweet friend. This whole series is such an encouragement to get on track this Christmas and focus where we should every day…Jesus! I love all the different angles you’ve brought together here! I always love to read, see, and experience your posts. Your blog is like a 3-D version of the world, and I love it! Thanks so much for taking the time to create such a beautiful piece for us! I haven’t pulled out my Christmas stuff either, but it is getting close to time. And, I think Kim has shared some wonderful items to consider as we do our decorating. Don’t you love all of the color and beauty in Kim’s post? And, yes, let’s make Jesus the center of it all! Melanie, this is such a great series! I love everyone’s perspective, writing style, and input. Such valuable, practical wisdom. Thanks so much for getting this all together! I appreciate you stopping by to leave a good word today! And, isn’t it fun to see the variety and creativity in each woman’s post! Looking forward to sharing yours!